Yes, it seems like another post about the best editor for the Mac. 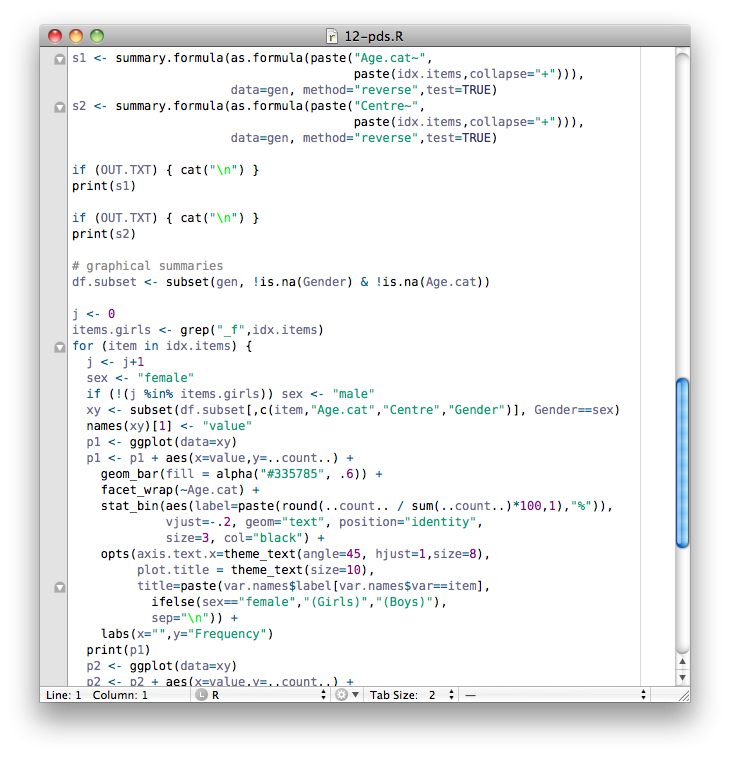 I spent two months using Textmate as my main editor for various stuff, but mainly tex and R editing. 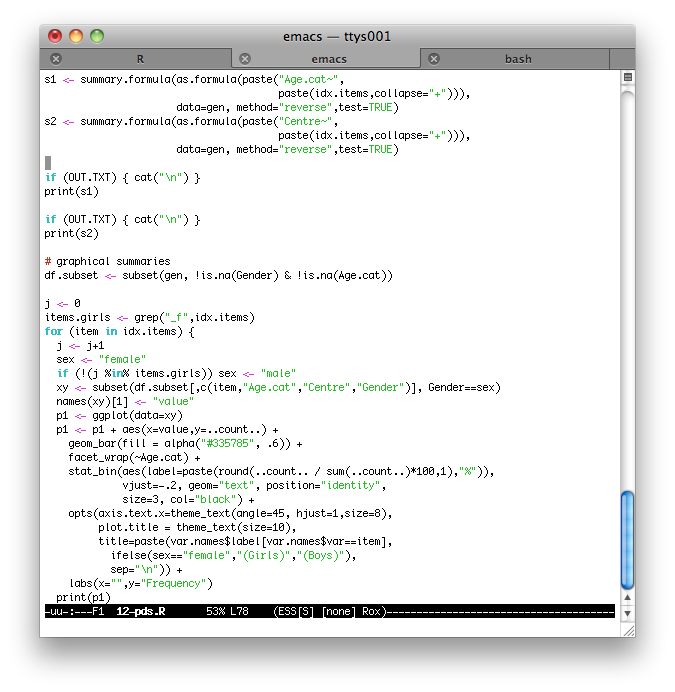 I always used Emacs before, but I decided to give Textmate a try, juste once again. Note that I am using the MacOSized version of Emacs, namely Aquamacs. 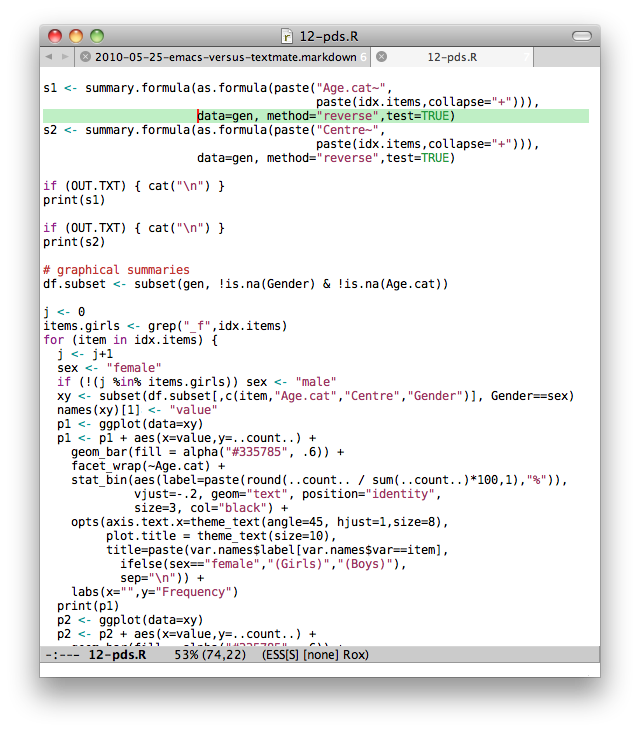 Hereafter, I enumerate useful functionalities that are expected when using a text editor for coding or text editing (I emphasized the conjunction because my own texts mostly are in text or tex mode). For keybinding, I use the convention from Emacs and Textmate communities, where M means the meta or escape (⎋) key, C the control (⌃) key and A the alt (⌥) key.